It was a grey day and rain was on the way, but we were booked on the Mt Sunapee. After the sail, we got off the boat and the downpour hit with vengeance. 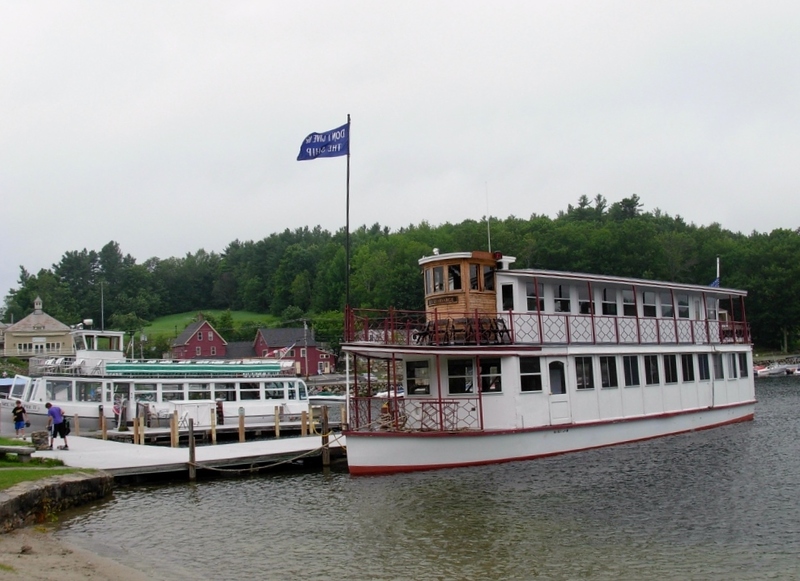 The Kearsarge was launched in 1897 and is used for dinner cruises; the Mt Sunapee (on left) was launched in 1965. 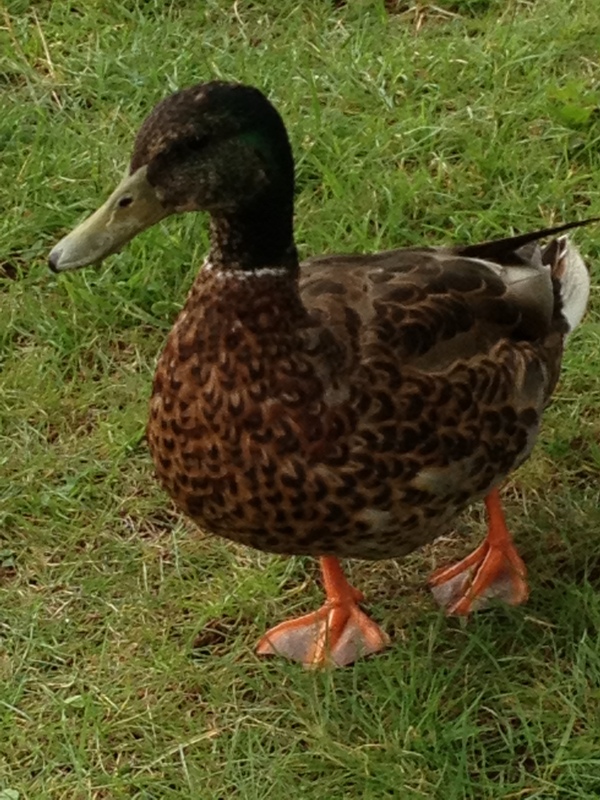 This Mallard has given up the migration for a life of leisure on the lake. 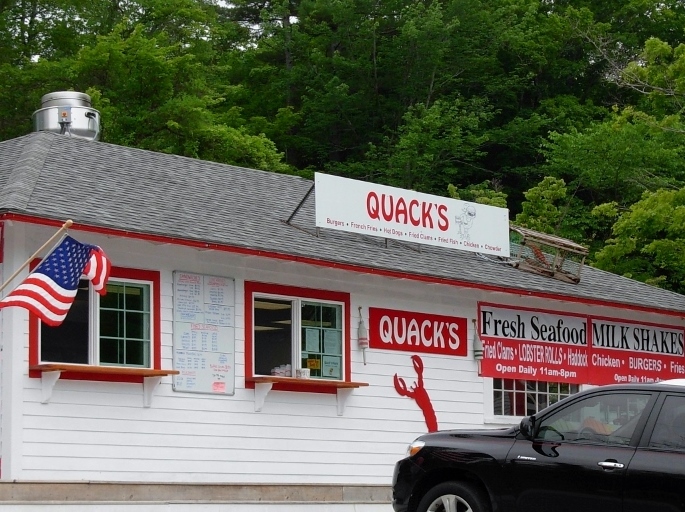 The unique bird fronts for a seafood house where hungry travelers can get a bite; lobster roll, but not roast duck. This entry was posted in New Hampshire, Places, Travel Blog and tagged iPhone, Photography, Postaweek, Travel, Vacation by carto. Bookmark the permalink.